As an image consultant who has worked with celebrities, models and public figures as well as professionals and individuals, I see all of my clients as “stars of their shows.” Life is filled with transitions, and divorce is one of them. While in a transitional state, it’s common and needful to make adjustments to our images that allow us to circumvent needless and costly detours on our road ahead. In fact, we are each the stars of our show – train wrecks, triumphs and all. We have our own paparazzi in the form of friends, peers, colleagues, parents and children. Dare I mention the long line of predators ready to take advantage of our tender state while undergoing divorce and all of its rigors? While most people don’t have the advantage of having a team of public relations (PR) experts ready to announce or confirm rumors of personal relationships in failure, the need to have help managing the distress of divorce is no less significant. In order to attract the best people into your world, I impress upon you the importance of maintaining an authentic and clear image statement during this precarious time in your life. Two celebrity couples that have navigated their divorces brilliantly are Jennifer Aniston and Brad Pitt and Courteney Cox and David Arquette. Each leading lady maintained consistent appropriate looks and, with the help of her PR team, was clear about her messages. They both managed to appear simple, chic and tastefully put together and demonstrated their resolve to stay true to themselves while going through divorce with dignity. Pitt and Arquette also managed the very public ending of their marriages gracefully by preserving a well-defined message and image presence. Despite the media blitz making Pitt out to be the man who broke the heart of America’s sweetheart, he maintained his impish good looks by keeping his intentions clear. Similarly, Arquette has kept his understated look with a slight modern edge while being committed to a healthy and friendly co-parenting relationship with his former wife. Related Link: Must We Remain Friends With Our Ex-Husband? Consider your image just as important as that of a public figure or a rising actor. Here are a few tips for you as you move forward with reshaping your storyline. As the leading character, choose your look wisely. Be clear about who you are and why you matter. This isn’t always easy to ascertain when going through the metamorphosis of divorce, but I assure you, now is the time to create your outline, your plot and your script. — Create a personal mission statement. Use key character traits that you possess like integrity, loyalty, highly-organized, etc. Then include character traits that you wish to improve or that you admire in others. Doing so helps keep you focus on goals and desires which are meaningful. — Rid your closet and overall image of anything that is incongruent with your intended message. For example, if you have the goals of becoming ”holistic, natural and healthy,” refrain from elective and excessive plastic surgery, implants, hair extensions, filler injections, etc. We all know those choices are fake and far from holistic! For clothing, you would choose natural fibers and textures as well as colors and prints that are soothing. — Create a budget and acquisition plan. You’re not an A-list celebrity; you’re not going to be offered free clothing from the A-list designers so they can use you for their PR campaigns. However, you are a star and should dress yourself accordingly. Therefore, take time to work out a budget that will allow you the BEST for your needs. Don’t settle for less! While you may not live the dream of receiving an Oscar, Tony, or Emmy, you can live the dream of a happy and authentic self as the star of your show! For more information about Hope After Divorce, visit our Experts page. As founder of Pittman, Lamitie & Associates, Joanne has developed their proprietary IMAGE Authenticityâ„¢ Training Programs which address the multifaceted work and lifestyle demands on employees and executives in the corporate world today. Her innovative approach has evolved over the past twenty three years in the fashion, fitness, luxury retail and image consulting industries. Joanne has been writing training curriculum and presenting developmental workshops to large and small audiences for over eighteen years. She is known for raising new questions and expectations which successfully foster authentic corporate and personal brand presence. 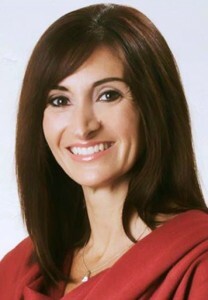 You can contact Joanne at Joanne@PittmanLamitie.com or visit her at www.pittmanlamitie.com.